Reflect the in-store experience your customers have come to know through dynamic digital displays and story telling. 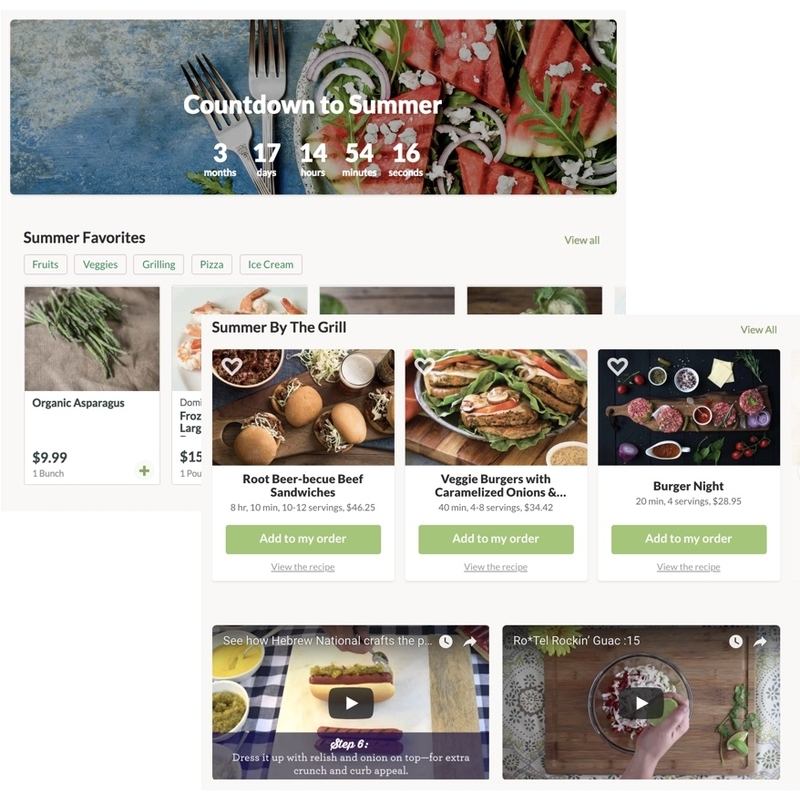 Thousands of recipes, videos, and stories housed under one roof for easy browsing. Now you're a resource, not just retail. CPG branded content creates new advertising opportunities. 72% of Americans cook from home four or more nights per week. Help them organize their cart contents so meal time is made easy. locai's next generation solution enables a personalized experience tailored to a customer's shopping cart items, past purchases, dietary preferences, and more. Not only does it make shopping online more enjoyable, it solves the headache of planning healthy meals each week. Become the brand customers trust as both their grocer and meal planning partner.